You feel slighted by a comment on a mailing list, or a forum post has failed to be moderated live. How should you react? A recent exchange on a user forum caught my eye, one that’s typical of many user interactions with open source communities. Someone with a technical question had apparently had the answer they needed and to help others in the same situation had posted a summary of the resolution, complete with sample code. When they came back later, the summary was gone. I’ve no idea why this happened. It may have been a system issue, or an administrative error, or the user himself may have accidentally deleted it without realising. It’s even remotely possible an intentionally malicious act took place. Without more information there is no way to know. For the self-aware mind, responding to this situation is a matter of choice. No matter how you look at it, I don’t think that was a very smart choice. Given he was posting in a busy user forum managed by volunteers, and that this was his first post, the chance any action would be intentionally directed at him is vanishingly small. He would have been far smarter to put his ego on hold and take a lesson from driving principle of Wikipedia. “Assume Good Faith“. That’s great advice in all communities of volunteer strangers. The things that happen usually have a great explanation, and the motivations of volunteers are almost always to make things better. So when a thing happens, or something is said, that you don’t understand or can’t explain, the best assumption to make is that it has happened “in good faith”. More significantly, when you think you do understand the motivation, over-ride your instinct and choose to respond as if it was good faith! The thing was probably your mistake. If it wasn’t, then it was an unintentional defect. If it wasn’t, then it was the act of someone with more information than you acting correctly. If it wasn’t, then the person was acting in the belief they were correct but with imperfect information. If not, then they were inexperienced. But whatever the explanation, in the unlikely event you ever find out, don’t assume it was an act of intentional malice! Maybe you can’t let any of the assumptions in that chain go. Maybe the person really is an idiot; it happens. All the same, an angry response is still not helpful, either to you or to the Community. 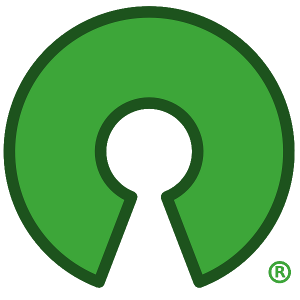 Open source communities only thrive when a critical mass of participants choose to assume good faith in every interaction. The assumption is very occasionally misplaced, but even when that’s so it’s almost always better to respond by assuming good faith anyway. That doesn’t mean it’s wrong to apply corrections. Good intentions do not guarantee good actions. But correcting a thing done in good faith has a distinct character of good faith itself. The original choice to act is welcomed and valued. The explanation of the flaw in the act is good-natured, clear, never patronising. The correction is generous. The whole thing is warm and seeks to build the confidence of the contributor. It’s a lesson the detail-oriented among us need to remember (I include myself in that). The overwhelming majority of community actions are intended well. Treating them as such — even when they are wrong — will grow individuals and the community with them.